Description: L'Hiver is a modification that significantly improves the graphics of the second chapter of the Gothic saga. 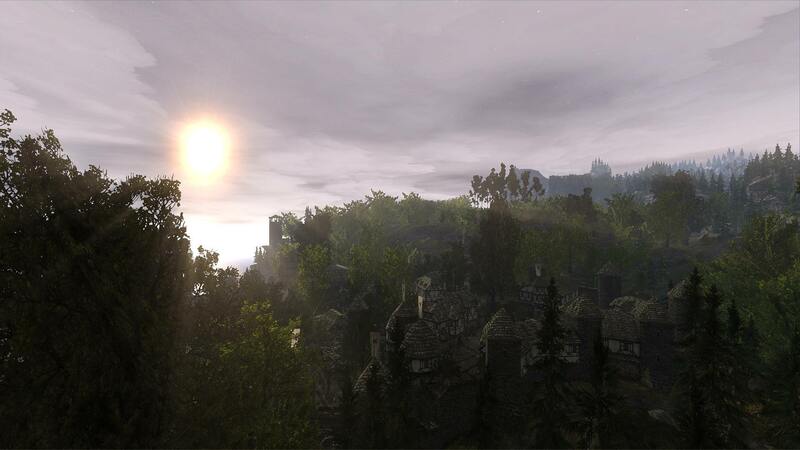 It adds new textures, opponents, modifies and add completely new locations such as the destroyed outer ring of the Old Camp in the Valley of Mines, the city of Khorinis with day and night life, the wooded area behind Onar's Farm, or the pirate beach of Jharkendar. The mod significantly increases the difficulty offered in the vanilla version of the game. The monsters stats are increased you'll also see new animations. During the game you will be able to meet some bosses like Lord Amorth. Fighting with them is now a real challenge. Nevertheless, L'Hiver doesn't change the initial plot of the game. You'll find them in the world in some chests. Removed Harad's wig 'cause that was outrageously bad. Fixed Cassia Speech to show 5LP cost for pickpocket. Fixed Pirate Bill Speech to show 5LP cost for pickpocket. Fixed Huno not showing option to buy heavy armour if others were already bought. The book "Fighting Skill" has been renamed to "The Pursuit of Knowledge". Miner & Woodcutter talent costs changed to 3,3,4. Guild None requirement removed from Orlan when selling hunters armour. Less than CH4 requirement removed from Matteo when selling leather armour. Arrows now costs 5 Gold. Bolts now costs 10 Gold. Fixed Enchating 'Ring 1H Master' (previously it was giving the 'Expert Ring'). Updated woodsaw_s1 to give option on how many billets to cut down. Fixed translation error of leathers (was leathrs). If you're a mage, teleport to monastery now teleports to your room in the monastery, if you're not a mage teleports to circle. Updated woodsaw_s1 to give players options as to how many billets to cut. Innos shrine back to 100G - Has randoms on bigpay but never gives no reward. Innos shrine capped +3 health to 30 prayers (+90 health). LP Per level back to 10 for every level - Base EXP back to 500. Changed Master -> Expert talets to Expert -> Master (makes more sense). Changed Carl Dialog for teaching armourer skill, now he will teach them in Chapter 1 (level 1), Chapter 3 (level 2) and Chapter 5 (level 3). Removed Gorax key for the entrance to the monastery from his inventory. Added some 'Troll Tusks' in the world so characters that doesn't have the hunting skill can now craft 'Leather Armour' (they're obviously near Trolls). Balanced the Exp and Level Up system. Now it will be a bit harder to level up but for the first 10 levels you get 5 extra LP every level up. (this makes late game harder and early game easier). Some EXP changes to balance the new level up system. LP cost for Mana is now fixed, previously it was more expensive than intended. Enchancer potions have now a better explanation. If NH is a Mage, instead of +5 HP each level up he will receive +2 HP and +3 Mana. A couple of changes in the graphics of the menu. Bronko is now always called with his right name (not Bronco). Fixed dialogue option with general NPCs asking information about the area. Leather belt used for enchanting belts is now called Leather strip. Restored old armor names of Leather armor (sold by Matteo) and Hunter's armor (sold by Orlan). Master leather armor is now called Thickened leather armor. Blacksmith and Barkeeper's clothing is now called Apron. Fixed some missing himself spoken dialogue from G3. Changed Girion Knight's armor with Paladin's armor. Fixed dialogue option with Greg, Lares, Thorben and Till. Added some missing item's name and some interactive entities. Changed a pirate's weapon in Jharkendar who didn't have enough strength to use it. Now will be clearly specified when you learn "Skin reptiles". Grimbald now teaches you how to skin reptiles. Bosper now buys Reptile and Swampshark skins. Removed missing spoken dialogues from Carl, Selivan, Jack, Ignaz. Removed regen of NPCs / Monsters when they cannot see NH. Fixed mistranslation of "Dying of fatigue". Hodges and Grimes now both call ORMASTERY as Ore extraction - (Miner|Master|Expert). "Art of Smith" is now called "Art of Weaponry". Fixed Rod's two-hander not showing weapon stats. Fixed value of 'Gold candlesitck'. Fixed Malcom body and the trigger to complete the quest, now you have to kill the 2 Lurkers in the cave. Fixed screen text "Learned: Leatherworking" in Bosper dialogue showing up despite no enough LP. Removed a doubled END option for Lobart showing up in CH3. Removed a repeated dialogue for Hagen about teleport rune. Fixed mistranslation of the "Cook". Moved the teleport rune 'Pass to Khorinis' which was sold by Engor in the VoM Castle (it didn't make sense with the story), it is now found in the dead body of the paladin near the pass (VoM side). Increased the Exp received from Bookstands. Removed 'Survival version' due to lack of time to keep both updated, but it may come back later. LP cost for stats (Strength, Dex, Mana) scale on the amount of LPs spent for that stat and not on the stat itself. Any bonuses to attributes/talents can be taken without affecting LP cost (such as Potions, Plants...). Changed the highlighted background when you're over an equipped item in the inventory (Now it's red). Added the possibility to sleep for 11 and 12 hours (both with and without survival features). Fixed wrong translations in Beliar's altar. 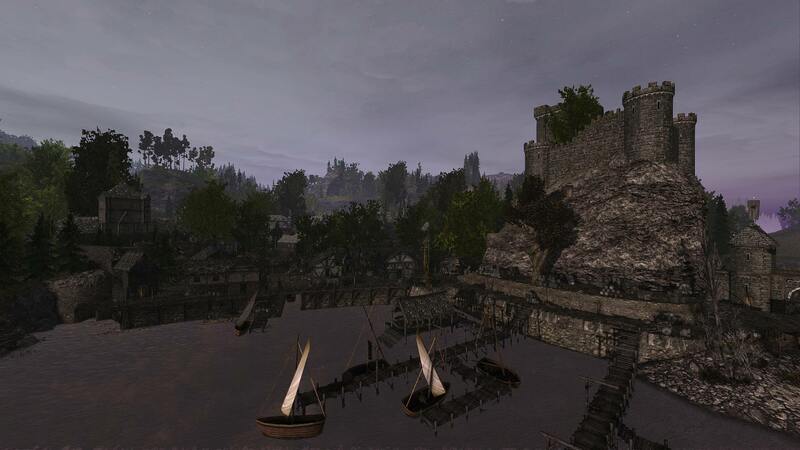 Added some missing dialoges causing wrong translations (City Guard in the harbour gate). Fixed some missing translations (Monsters and some NPCs). - Onar's farm - You'll receive it from Lee in Chapter 3. 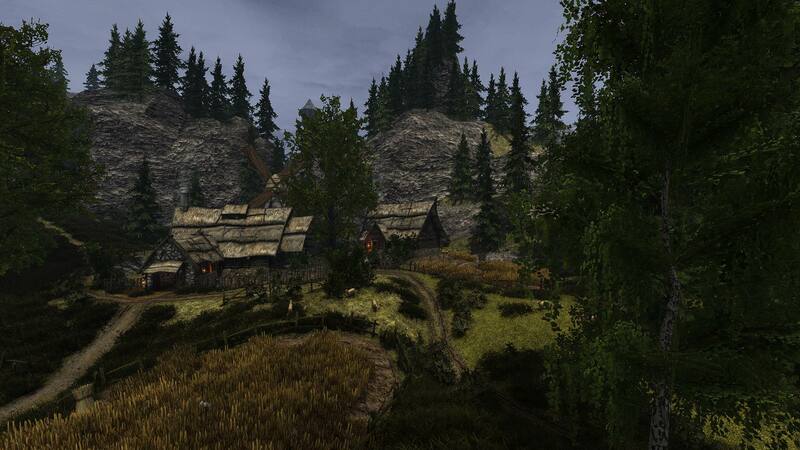 - Orlan's tavern - Orlan will sell it for 500 in Chapter 3. - Pass to Khorinis from the Valley of Mines - Moved, now Engor will sell it for 500. #Removed the red/purple effect when interacting with "Beliar's objects/NPCs", such as shrines, seekers and so on (it was the cause of some visual bugs). Now you'll have no problem interacting with this things. - Enchanted items have now a different name, instead of the same name of their "not-enchanted" versions, so you can distinguish what you just enchanted and what you already had. - When learning a new level of enchantments, your diary will update with the new enchantments and their respective recipe. You'll never ever find problems seeing the recipes with this new function. You can see it by going in the section "General informations" of your diary. #Minor fixes and changes to translations. • Added Story Helper (SH). • Several dialogs were corrected. • Shields - now they have a penalty to fighting skills, they reduce your one-handed skills by a percentage. • From now on, in the tanning table, you can choose the skin to tan and the amount. • Added the posibility of frying the whole meat. • There is no longer a limit to praying when doing a sacrifice. Bonuses are given randomly. New (from G1) areas in the Valley of Mines. [Empty] Report any suggestion or bug found, it'll be written here when fixed. Also i appreciate any help to improve this mod. • Download and install GOTHIC FIX 2.6-REV2 + SYSTEMPACK 1.7 + PLAYERKIT 2.8 in the Gothic2 main folder. • [Optional] Download and extract DIRECTX11 in the GothicII\system folder, then start the game and let it download the DirectX11 normalmaps. 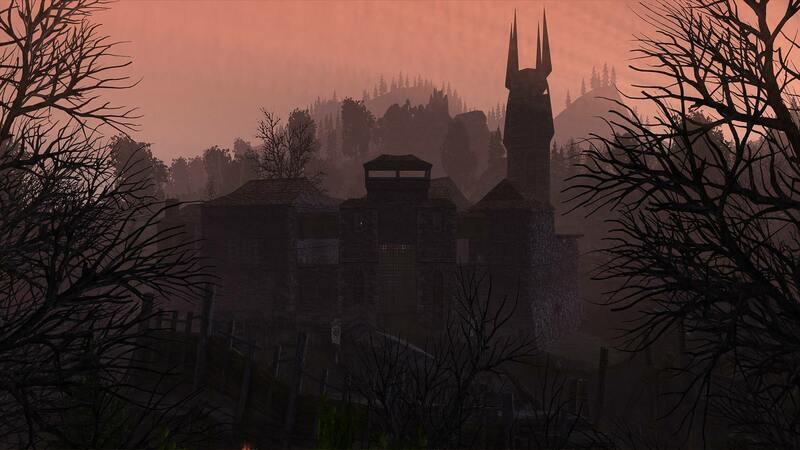 • [Optional] Download CRASH FIX and make a backup of shw32.dll in GothicII\system (just in case something goes wrong), extract 'Gothic_1_2_mem_fix_v06.zip' and move the 2 files 'libhoard.dll' and 'Shw32.dll' in GothicII\system, extract the other .rar file and open '4gb_patch.exe', select the Gothic2.exe (GothicII\system\Gothic2.exe) and press Ok. This fix modifies the .exe file, allowing it to use 4gb of Virtual memory instead of 2, lowering to 0% the crashes. (Even the save-crash-bug). Highly Recommended. • Download L'HIVER BASE 1.1.4, extract it and move the .vdf file in GothicII\Data. • Download L'HIVER SCRIPTS 1.1.4 . After you have your .zip file, extract it and put the .vdf file in GothicII\Data. • [Optional] Download and extract L'HIVER MUSIC in GothicII main folder, if you want L'Hiver musics. If you want to install and play using GothicStarter, here is a guide that will help you step by step (Thanks to chessdragon136). Download the LHiver Base and Scripts package, and extract them. If the game is installed in a Windows protected folder (like the default program files) please remember to run Gothic Starter as administrator! Note: I don't include the new music as part of this as I think it should be optional if people want it or not..
//Randomizes chest combination when loading a save, preventing you from "cheating"
Thanks to: chessdragon136 for his help with spacer and scripts. I don't really plan to play L'Hiver anytime soon but I just wanna leave a "thanks" here. It's really good to see that people brought that game all the way from Russia to us. Thank you for your work..
Hello! Firstly, thanks so much for translating the mod, I've been playing it a lot and love it. I was curious about the reasoning for the XP changes in 1.1.3. Is L'Hiver not balanced very well and this is definitely an improvement? I'm about 10 hours in on a new playthrough and wondering if you think it would be worth it to start over for the changes or to not worry about it? How much harder will the late game be in 1.1.3? Thanks. You can keep playing the game you started, it isn't a big change . It's not like L'Hiver isn't balanced.. i would say that they balanced this way to make game really hard and the first 10 levels are hard to get through, meanwhile the late is pretty 'easy' (l'hiver changed the damage of the monsters and you're now receiving a minimum amount of damage no matter which armor you have, making it a bit harder than vanilla but you still kill everything in a few swings). I didn't like the fact that early game was so hard and frustrating while late was less harder. The change has the purpose to help just a little in the first 10 levels, meanwhile it will be harder to level up in late game (to prevent hero to become super powerful too soon). This change is being tested tho, but i think it is working as intended ( i calculated that at lvl 50 you'll need like 2500 more exp to level up). I saw that in future versions you want to make rest of colony accessible. That's awesome! With that I wanna ask since you will be modding the visuals, could you make a model of paladins armor with the visor put down? It could work just like hood of the mages robe. The model also exist in the game via "armor statues". Anyway that would be utterly genius! Anyway, awesome mod you are making, keep going! Hi, thank you for your words. I think L'Hiver purpose is exactly that you can't simply rush in a pack of 10 orcs and kill them all, but you must be conscious and attentive of what you're doing even if you're incredibly strong, and i agree with this because it makes the game more challenging .True that the gothic feeling was the one you described, but for that you can play vanilla gothic with some HD textures and DX11.. i think the purpose of the mods is to change the game and make it different, some mods do that slightly (like L'Hiver) and some of them do that heavily (like Returning), we just add some different ways to play this amazing game but it's up to you to play what you enjoy the most . Thank you for returning and continuing your fine work here. You've allowed me to enjoy possibly the best mod I have ever played (a close second would be GMDX). Before I try 1.1.3 I just wanted to ask how soon you think Free Aim could be implemented because if it's really soon I'll wait. Free Aim will be probably in the next version (1.1.4) together with a lot of new stuff (at least i hope so) and it won't be there for at least 1 month. Now that most of bugs and mistranslations have been fixed i would like to release versions that has a lot of stuff in it and not just 2-3 things, that's why it will take a while. Are chests that are locked supposed to display their name as 'Chest (locked)'? The first locked chest I found was like this but then none afterwards. EDIT: Ok...not sure what I've been drinking (it looks like beer.) I was 'locked' onto the chest wasn't I? Last edited by SuperQuail; 20.07.2018 at 01:00. I've had a chance to do a playthrough through the first three chapters which is enough to get a feel of things. I'll break down my thoughts into bug / improvements and balancingm although some of the improvements link to balancing as well. Huno does not allow you to buy the heavy armour if you have already bought all the others. This is due to it being missing in the conditional dialogue statement Line 229. Some keys do not disappear after use - I do not believe that unlocked doors / chests revert to a locked state but not sure. Keys include: Judges Key, Multiple Monastery keys, Bandits on Bridge, Bromars door key. Woodcutting requires 3,3,3 LP but Mining is 5,5,5 -> Think this should be changed to 3,3,4 for both. Leather and Hunters armours are weird. The Leather armour needs hunted materials to upgrade but the hunters armour doesnt.. For armourer in general I think some time needs to be spent thinking about what items are needed for upgrading things, maybe even unique items to slow progress. Billeting needs a script change so you don't have to do one at a time! - I have the script available. Remove Guild None requirement from Orlan to buy Hunters armour - Given it is now upgradeable it shouldn't be locked out soo early in game. The cost of arrows is too much at 10G - Will discuss in balancing but needs to be 2G and 5G for bolts. The teleport location for the monastery is rubbish - Especially if you are a mage and go often to your room. Suggest a new rune, if mage get rune to teleport to your room, else get current rune. Enhancer potion seems useless and buggy. Discussed in Balance. Bennet dialogue shows some options regarding the Eye of Innos too early. Had similar dialogue issues at Onars Farm during CH1, but not sure if it was something weird I had done. I'll investigate these myself. Ring of Beginner XXXX sounds weird as a translation. Not sure what to put in its place mind. Again I may need to think on this. The treasure map (of Hanna's quest CH3 Something Lost?) was not re-made to include the new areas of LHiver. 15LP for the first 10 levels is too much. I had 120 Dex (with ring and sword bonus) before I had joined a guild, along with theif skills and bow making to nearly top tier. It made for a very easy playthrough. I think that instead of having 15LP for the first 10 levels, that the EXP cap should be reduced for the first 15 levels, then normalise to the current differences until 25, then get more difficult after that. Given the issues many have at the start, I would suggest returning the Innos shrine cost to max at 100 Gold. Most people who know this do this early on anyway to help out, and at 300 gold it is too much to max out easily, especially without a dexterity pickpocket build. Perhaps increse the initial starting health. Armours need a re-balance in that many of the ones you craft are never really worn due to them having no purpose. Whether any bonus effect can be added I don't know, or whether the values need to be rtweaked so that the Hunters armour has 10 blade protection, and 0 magic.. Essentially make armours more extreme to a given purpose. Alchemy potions need to provide percentage gains and not fixed ones. Currently a hunter with gut animals is much more useful than any alchemy potion beyond the first chapter. Instead, potions should perhaps give 10%, 20% and 40% of health back. I would then remove the Enhancer potions (I feel these are useless, who drinks in a battle anyway) and make the Pure Life potions a benefit of Constantino's apprentice. Alchemy: Permanent potions currently do not require any previous knowledge of alchemy. Personally I don't think permanent potions should be available to make until CH3 or so. Currently with the current 15LP per level, I had perm dex potions before being in a guild. Extending Enchanting and Armourer to span up to CH5. Having the best armours at CH3 is too early. And you can be a Master Wizard by Circle 2 (Start of CH2)! Ideally, I would like to see balance changes that makes CH5 the point people re-visit all the areas of the map to clear them out, instead of doing so when they first visit, and why CH5 needs some attention regarding map repopulation. I am not suggesting extending the armours / value changes but just slowing down the speed players get to them. Make Apprentice / Wizard available in CH3 / Circle 3 and Master / Master Wizard in CH5 / Circle 5. Enchanting: Remove the special rings. They are useless. 1HP / 1MP at the point in the game you get them is irrelevant. Eating cooked meat at the 20% restore health / potion changes above make these redundant. I had them in my last playthrough and they just didnt add value compared to +75 health or whatever else. More Black Trolls needed - Currently you need 2 for quests / armour. I'm sure there is a few more things but I'm tired, and this has taken more time to type than it will to actually implement most of it! Hope it helps. No problem. I was celebrating with a drink and I got confused. hello lads, first of all THANK EVERYONE for this incredible Mod. Already spend many many hours literally dying and reloading but still got so much fun. playing the best german RPG again got me thinking: why can't "we" have both 1h & 2h Weapon equipped at once? i find myself switching my weapons quite often and would love to have a 2 slots for Melee weapons: 1h + Shield and 2h for the big bad one. Guess this needs to be balanced properly. as for me i can live with some malus from the shields applied for the 2h weapon, i mean it's hard enough to get to 75% now, maybe that would be enough to justify that. are there any weapon combinations with 1h+shield & 2h that would break everything to much? wish i could do a mod myself for that propose.. I cant craft bows. I'm bospers apprentice and he already taught me about skinning etc, but I have no dialog options regarding bow crafting. I see the crafting table behind him but I dont know any recipes. Look in the Questlog under the section 'General Information', there should be something about bowmaking if you already learnt it. Thanks for the quick response! I just looked in the journal and there is nothing about crafting bows. Only skin and meat extraction from bosper.